Information and timetable on our free shuttle bus services between the hospitals. 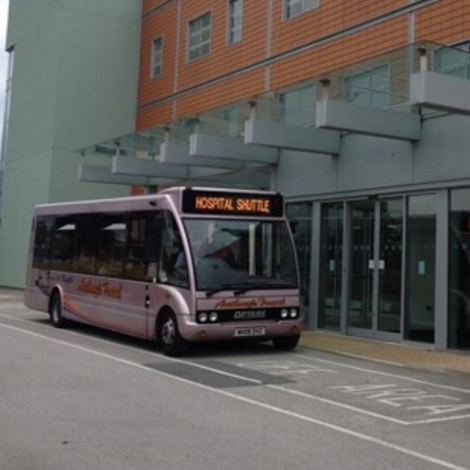 We operate a regular free shuttle bus service, seven days a week between Warrington Hospital and Halton General Hospital. It also makes a drop off at the Cheshire and Merseyside Treatment Centre on the Halton General campus. The bus runs seven days a week. Who can use the bus? The popular service helps over 500 people a week get to their appointments free of charge - as well as providing transport for staff between the sites. People visiting relatives in hospital can also use the bus. Our bus has full wheelchair and disabled access. You may be asked to show evidence that you are travelling for a hospital appointment or visit. Where do you get the bus from? The shuttle bus runs from outside the main entrance on Hospital Way at Halton Hospital on Mondays to Fridays (and from the Urgent Care Entrance (phase 2 downstairs at the weekend), it then makes a stop at the Cheshire and Merseyside Treatment Centre (a couple of minutes after the Halton Hospital stated time below, but we would recommend you being at the CMTC the same time as the departure time for Halton entrance, as it will only take the bus a minute or two to reach you dependent on the number of people alighting and boarding the bus at that entrance) on its way to Warrington main entrance. The journey takes around 25 minutes between sites, but this can be delayed due to traffic and Mersey Gateway road works. Please be aware that the bus can be busy - visiting times. Patients and visitors boarding the bus may be asked for the purpose of their journey that day, please show the top of your clinic letter to the driver. If you are visiting a patient please ask on the ward for a confirmation slip for your return journey. We unfortunately have to ask due to an increase in users of the bus using it as free transportation to and from Warrington/Halton without using Warrington and Halton Hospitals NHS Foundation Trust services. 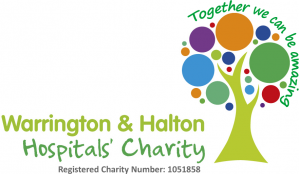 Departs Halton Hospital (Entrance 1 Monday - Friday, Entrance 2 Saturday and Sunday) to Warrington - 6.35, 08.10, 09.10, 11.15, 12.55, 14.20, 15.30, 16.35, 17.50, 19.00 and 20.45. On its journey, the bus makes a stop at the Cheshire and Merseyside Treatment Centre to drop off and pick up before going on to Warrington. The journey takes around 25 minutes. If waiting at the CMTC for the bus please be there for the stated times above, as it does not take long to drive from entrance to entrance. Departs Warrington Hospital (main entrance) to Halton - 7.00, 8.40, 10.30, 12.00, 13.45, 15.00, 16.10, 17.10, 18.30, 20.15 and 21.40.